I love Doctor Who (Yes I know (it is me after all) that I have not been too kind on Doctor Who of late, but hey that’s what you get when something goes bad) and with the 50th Anniversary of Doctor Who this Week, I thought I would show you who I think are the top 5 actors to play the world-famous and prestigious part of the worlds most loved time traveller (Main actors, so unfortunately Richard E Grant, Peter Cushing, Rowan Atkinson and Joanna Lumley will not be mention). So get ready to go back in time in a literature and a literal sense moulded together to make some gigantic but hopefully not grotesque creature as we look upon 5 legends of time and space (Apologies to anyone who came to this site thinking they would find a list of Reliable GP’s). 5: Christopher Eccleston – I don’t think Christopher Eccleston gets as much credit as he rightfully deserves for his brief appearance as the Doctor. When Doctor who had been off air from about 1996 when Paul McGann took over, the series continued to thrive in book format causing Paul McGann’s doctor to become the most prolific. 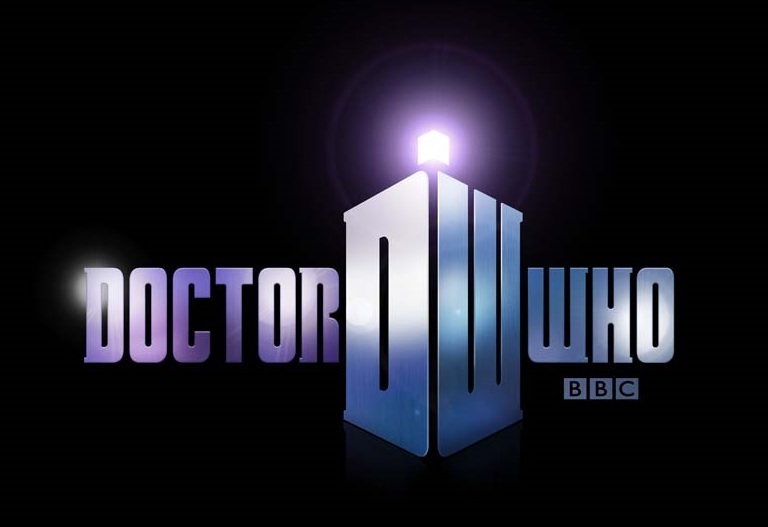 However, in around 2003/2004 when it was announced that after years of people wanting it to, Doctor Who was going to return, it sparked ideas of who would become the New Doctor. When I found out it was going to be Eccleston, my first thought was (No pun intended), “WHO?” I found a picture of the bloke, but still had no idea. It was not until the first trailer came out and then the eventual release of the first episode that we all got to see this new chap. Christopher Eccleston as the doctor was brilliant, he was fast, funny, intelligent but not boring. As an introductory casting for both a new series and new generation, he was as perfect as William Hartnell was 50 years ago. While he sadly did not continue for another series, Eccleston in no way should be a forgotten incarnation (Also is from the North (Like The Doctor) which is an added bonus). 4: Sylvester McCoy – What could be thought of as the final Doctor of the original series, Sylvester McCoy should not be looked at in that way however. Originally starting off as being somewhat of a clown, he became a much darker character almost playing his own game with people. He also used is Scottish Accent as part of his character (unlike David Tennant except for that one episode in Scotland, you know the one, don’t pretend like you don’t). But while he did have that darker side, part of him was also both caring but also light and funny in other areas. He was also very informative and had great ingenuity. While the show did come to an end during his time on the show, it was great to have a great doctor playing the part instead of ending on someone generally bad, something of which McCoy was not. Also, interestingly enough, he was the Doctor during the 25th Anniversary of the show in the story Silver Nemesis (The Best Cybermen Story). 3: Tom Baker – The Longest serving Doctor (in a continuous television series) at seven years. Tom Baker as the Doctor is possibly the most funniest. His style of trying to be quick as he does things were often let down by his size and his clothing. A very interesting persona with a large degree of knowledge but in many a sense was not able to keep the viewer entwined unless it was knowledge they actually wanted to know. One of his funnier traits was that of how he introduced himself by offering people a Jelly Baby, even if that someone was giant robot intent on killing him. His clothing as the doctor is one of the most recognizable looks in Television history particularly with that scarf, when, if stretched to its limit it could probably go round the world 10000 times, (but still not completely fill up the Tardis). With an entire film cast of Companions over the years and adventures which have been regarded by many as some of the best (Including my Favourite Story – The Robots of Death), Tom Baker is definitely one of the Best. 2: Peter Davison – Trying to fit into the shoes of someone who has played an Iconic role for almost a decade is no small feat for any Actor, Peter Davison though managed this impeccable task with ease. Peter Davison could be seen as the first sign of the Time Lord Ageing process of steadily getting younger. Davison played the part on a much younger basis due to his age and it worked magnificently. He was far more approachable as a person especially to younger people as companions than someone with age and wisdom could be. He was a lot quicker than the previous doctors on his feet and this was a good trait to have in an advancing and steadily getting younger generation. This did not stop him though from continuing the more intelligent roles that the doctor had, but he was able to keep the viewer on side as this trait was directed more to their side. But there was always a sense with him like he is trying to hold back, as if he was trying to hold his temper in, and if it came down to it, he would give out small breaths of it for brief periods. While the idea of the character wearing Cricket White’s may put you off, it really shouldn’t. Peter Davison is a one of a kind (as well as having the best intro of any doctor) and if still unsure, check out Resurrection of the Daleks. 1: Jon Pertwee – The Legend, The Greatest, who else was it going to be. Jon Pertwee did and was part of many firsts in the series. He was the first Doctor to be on Colour TV, He was the first Doctor to encounter The Autons, he was the first and I believe the only Doctor to use the Who Mobile and he famously coined the phrase “Reversed the polarity of the neutron flow”. An old-fashioned man for an old-fashioned Doctor. He suited the part from the day of its creation. Considered to be the Dandy Doctor due to his clothing, an idea he may have got from his Grandfather. He also drove an old-fashioned car. But he was a man of action, doing his own stunts, something that was probably hard to do in those clothes, but he succeeded. One help he got in this action role was that a lot of the stories were based around Unit and its head Brigadier Lethbridge-Stewart (played by the brilliant Nicholas Courtney) who in many a way could be considered (but would probably not admit it) a companion of the doctor and in some case, the doctor’s earthly equal. The Unit episodes as such were terrific as they were both full of action but pushed the role to be action like. However the Doctor was not contained or suppressed, and would correct you without a hesitant notice. Much like how Davison was seemingly trying to contain it, Pertwee was never afraid to lose his temper, something which he did on several occasions, particularly to his companions. These took the form of the long-lived and possibly underrated in my opinion, Liz Shaw (Caroline John). The loyal and intelligent Jo Grant (Katy Manning), and the now Legendary and definitely the best companion in the show’s history, Sarah Jane Smith (Elisabeth Sladen). One issue for Pertwee was the technological and scientific side of the character, to which, then show writer Terrance Dicks fixed by introducing the line “Reverse the polarity of the neutron flow” which Pertwee apparently loved and wanted to use more often. While Pertwee is no longer around to see the glorious 50th anniversary of the show, it is with great happiness and joy that he has left us with absolute Television Gold. If it wasn’t for Jon Pertwee, it would be unlikely that he show would even reach such a glorious milestone. With the recent news that Matt Smith is leaving Doctor Who later this year I thought I would give you my list of who I think should take over the prestigious role. With The Doctor now short on lives as the 1996 TV Movie stated (13 Lives, so basically he has only two lives left) only up to two of the fantastic actors below can have the part in the future if they are considered for the role. So here are my top 5 choices for who should be the New Doctor. 5. James McAvoy – While this may be an interesting choice for some of you, if it is the case that someone (AGAIN) is chosen that resembles the previous Doctor I would rather James McAvoy be it. McAvoy is a very good actor as shown in X-Men First Class when I was unsure if he could play Professor X. If you are still unsure about the idea of McAvoy in this role, I am going to answer that with a Question. Did you see Welcome to the Punch? 4. David Morrissey – Someone with experience of the part. Morrissey has been in Doctor Who before in a role that to many was mistaken to be the Doctor when accidently he wasn’t in the Christmas special, The Next Doctor. Morrissey is very much a classic actor for a modern era and it is thanks to this quality why (along with his Fantastic Voice) he would be the best person to take a classic character into the future while also staying true to his character. 3. Richard E. Grant – Another interesting choice, particularly because of a recent episode of Doctor Who but a choice that shows Great Promise in Experience. Richard E. Grant has played the Doctor on several occasions already but not in the official series. He played the part as one of the Doctors Regenerations in the 1999 Comic Relief special Doctor Who and the Curse of Fatal Death as well as the 2003 animated story Scream of the Shalka. While you may be thinking that with his recent appearance in the show will prevent him taking the role, you’d be wrong as this sort of thing has happened before. The sixth doctor Colin Baker made an appearance in the 1983 story Arc of Infinity playing the part of Commander Maxil. So with this sort of thing happening before (not to mention Freema Agyeman appearing in the show before becoming a companion to David Tennant‘s Doctor) it has not been written out completely for Richard E Grant to take up the part (remember to check out Posh Nosh too). 2. Richard Roxburgh – An Australian Actor who has played some of the most prestigious literary roles in the media which include the part (and one of the best performances) of Dracula in Van Helsing and the role of Sherlock Holmes (My Favourite Actor to play the role of Sherlock Holmes) in The Hound of the Baskervilles in 2002 for the BBC. I don’t see any reason why he shouldn’t be allowed to play the part of The Doctor. If he gives a performance much like the one he did for The Hound of the Baskervilles, he could easily become one of the best actors to play the role of The Doctor. Still unsure – Check out his performance in both Van Helsing and The Hound of the Baskervilles and see what you think. 1. David Thewlis – Within a year of Smith taking the role of Doctor Who, I was already saying that Thewlis would have been a better choice and now that Smith is leaving, it is the perfect opportunity for Thewlis to have a go at the role. David Thewlis has appeared in many Great parts and is best known for playing villains. His acting credits include; Black Beauty, Dragonheart, Anonymous, War Horse and Five Harry Potter films as Remus Lupin. David Thewlis is a fantastic Actor, Great Voice, Great Style, can get Angry when necessary but is mostly calm in his parts. He is practically perfect to play the role of The Doctor and now he has an opportunity to do so.